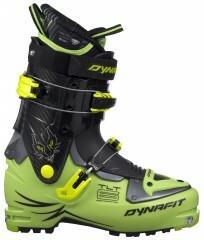 Dynafit has raised the bar yet again with the new TLT6 Performance CR boot. Building on years of proven TLT design, the latest iteration features a more comfortable last, better insulation, increased adjustability, and even more performance. Similar to its little brother, the TLT6 Mountain, the Performance CR comes with an improved Ultra-Lock system, Driving Spoiler, and a Downhill Booster. In contrast, this premium version uses carbon fiber in the cuff to shave weight while increasing stiffness and the ability to drive your skis. This boot is for ski mountaineers who want to maximize their performance both uphill and downhill in all terrain and conditions. New Driving Spoiler 2.0 improves the stiffness of the downhill structure and smoothness of the cuff rotation. Enjoy even faster transitions with the articulated Ultra-Lock System 2.0 that reduces buckle snag. Slightly increased last fits more feet and lets you climb and ski all day without pain. Warmer version of the TLT6 Custom Ready liner is also abrasion resistant and stitched with flex zones. Micro-adjust the instep buckle so you can set it and forget it while keeping your heel securely placed. Adjust the forward lean (15° or 18°) with a new metal insert so you can choose how aggressive you want to stand. The compact and rockered shell maximizes your agility while scrambling and features some new felt for insulation. Patent pending toothed buckle catches hug your leg so you don't get unintentional slippage or loosening. More durable Claw Outsoles have a sticky compound in the toe and heel areas so you have the traction you need. Standard Quick-Step inserts to ease entry into tech bindings so you spend more of your time on the move. Removable power strap (+35g/1.2oz) adds some forward flex resistance to help drive bigger skis. Notes Standard-bearing TLT platform evolution with more adjustability, comfort, warmth, and performance. Bottom Line Maximum versatility and performance. Love my tlt6's! They really strike a great balance of mobility/weight/ski-ability. With they Black tongues theyre bomber and Ive even skied them a day in bounds and could not tell a difference between my alpine boots and these. Theyre very light and I dont think there was a better boot on the market for this niche until the Alien RS came out. Those are lighter and don't ski quite as well but pretty close. If you're thinking about this boot, the Alien RS may be worth a thought too. Are you going to be getting any more sizes in stock soon? I'm looking for a 26.5. Hi Randy, unfortunately not, sorry! hey guys what is the difference between the TLT performance CL and CR? Do they both have the same lateral stiffness? Also would you happen to know the weight of the boot in a 26.5? Hi John, the CL and CR refers to the liner (Custom Light vs Custom Ready). Unfortunately we don't have a 26.5 in stock to weigh. Continues to be my boot of choice for all backcountry starting my 3rd season on them now. So far not a single mechanical issue. I ski them with the green tongues (but climb without) as the black ones felt too stiff for me. I ski them from 75mm to 100mm skis in all conditions and they have been great. I suspect they might be a bit soft for someone really charging and hucking but then there are other boots for that. Does the TLT6 carbon model fit the same as the non-carbon model? Hi Ann, yes the TLT6 models have the same shell fit and use the same CR liner. Note this is not true for the TLT5 and TLT7. Do these boots fairly true to size? Hi Sam, the chart is pretty accurate for these. They maybe run a touch small if your comparing to alpine ski boots with a similar mondo size, but using the shoe size on the chart works fairly well. I started with the earlier version the TLT5. Skied both the TLT5 P as well as the Mtn a LOT for 2 seasons. Was happy with how the TLT6 was improved for skiing but not for alpine climbing which had been my hope. Lot more skiers in the world than climbers however. But no question the ski performance on the TLT6 was a big improvement over the TLT5. Since then I've spent 6 days on the classic Haute Route, as well as miles of skinning and alpine/water ice and hundreds of days lift skiing on a TLT6P. Still not thrilled with how the TLT6 climbs technical ground. But it is without a doubt the best ski boot I have owned over the years. And I have tried and skied in most of the newest versions including the high dollar carbons. Mind you...best of any ski boot not just a skimo boot. The TLT6 is "the best ski boot" I have ever owned. It is not the lightest boot by today's measure. Not the biggest beef either. 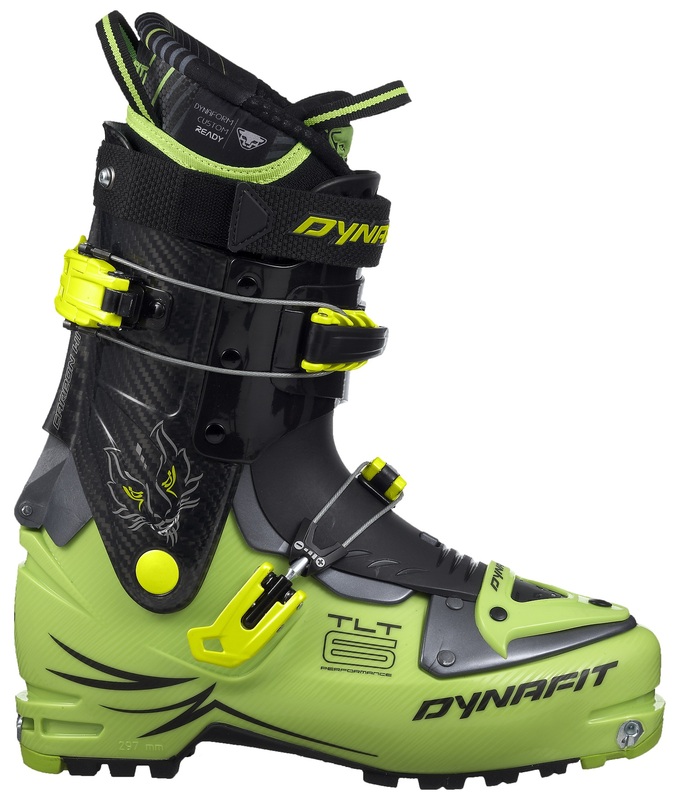 But the TLT6 P or Mtn are both solid ski boots that are at home on skinny touring ski or 110+ powder planks. Not the best inner boots by most accounts but that is easy enough to fix once you figure out what you really need to better fit and comfort. Much has been made of the narrow last. And it is a narrow last but as wide as most every thing in the same weight/performance category. Anyone looking for a solid performance skimo boot that will do it all this is the one boot you must try on. It may not fit you, but it is the one boot I judge all the others by. It is not a "race" boot and doesn't pretend to be. And that is a very good thing. Few boots will really do it all in the mountains. TLT6 is the only boot I consider a "full" mtn boot for my own use. Part of that is of course they fit me well. But the TLT 6 really skis exceptionally well, (a huge range of ski types and width under foot) , climbs technical ground easy enough, takes most crampons securely, and tours as good or better as anything currently available. TLT6 is a truly versatile "mountain" boot. A lot has been said about these boots and their cousins, the TLT5. Almost all of it good. Almost all of it correct. For an all-purpose lightweight boot, these are hard to top. They ski bigger than they look, skin with great range of motion, and can even climb technical ice with crampons as would a mountaineering boot. The fit is narrow in the forefoot, and even though this was purportedly changed in the TLT6, it's still pretty narrow and I needed to have the toe box punched out. The minimal liner is warm enough for my uses in the PNW and in Utah, but for friends with colder feet, an aftermarket liner was required for long days in the field, or any days with less moving (s/a climbing, etc). As I mentioned above, these ski very well. I never use the insertable tongues because they compress the top of my foot and make it hurt, but I don't need em. The boot definitely requires a more neutral stance than a beefy charger, but it can still drive a bigger ski. The fliplock mechanism is really amazing for keeping transition times low. Friends without end up looking pretty silly flipping all of their buckles. The buckles on the TLT6 have been improved from the 5 to reduce icing issues, and seem to have resolved that problem. The lower shell is quite durable. I can be an ugly skier sometimes, so I've cut up the boots with my edges, and kicked rocks with my toes, and while they show that, there have been no holes or issues despite downright abuse. The only real durability concern is the carbon cuff. Just like the TLT5 the TLT6 develops play at the cuff pivot after significant use. Mine wiggle after a few hundred days, and while this doesn't make a really noticable difference in how they ski, if it progresses further, I'll definitely need to retrofit the pivot if I want to keep trusting them. At that rate of pivot degradation, no need to retrofit. Just send them in to Dynafit to be repressed. Cost you one way shipping.